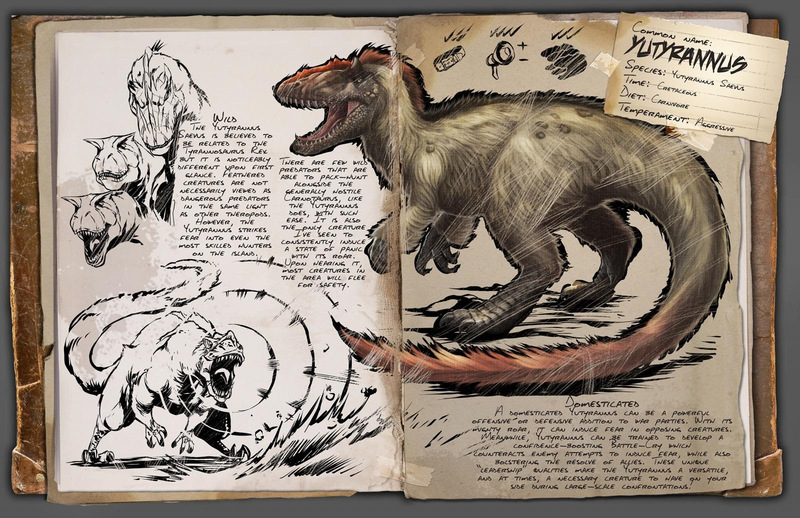 A massive new content update for the Xbox One versions of ARK: Survival Evolved. 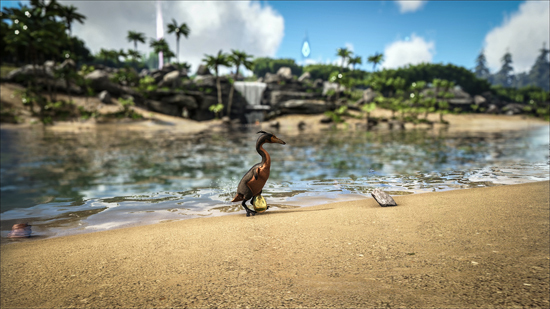 Players that can't get enough of finding and taming new creatures will find five more beasties to track down on land, or in the water via the brand new speedy new motorboat! With this update, 100 creatures have now been officially released into the base game (not even counting bosses or specialized variants! ), and the custom per-pixel painting feature has been added for structures, survivors, and creatures. 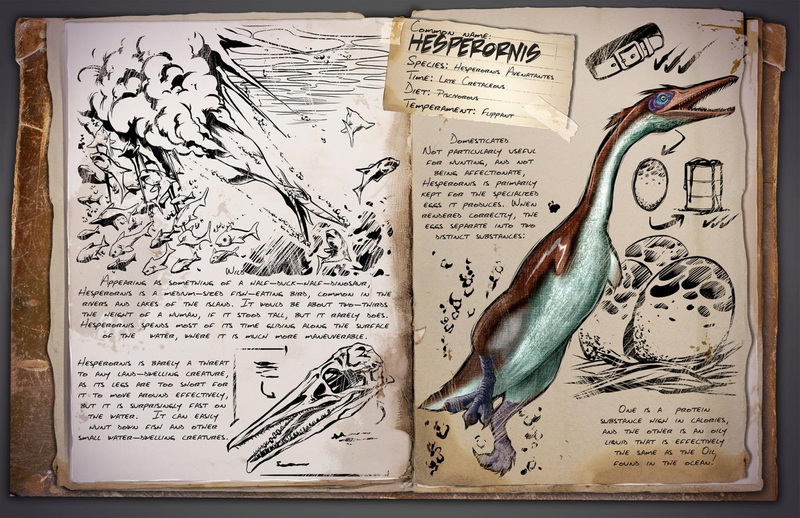 Head to the island today and see if you can get your hands on the new speargun, maybe take a well earned break on the interactive toilet, or whip out your paintbrush and draw some wildly inappropriate graffiti on your base’s walls or sleeping tribemate’s face! 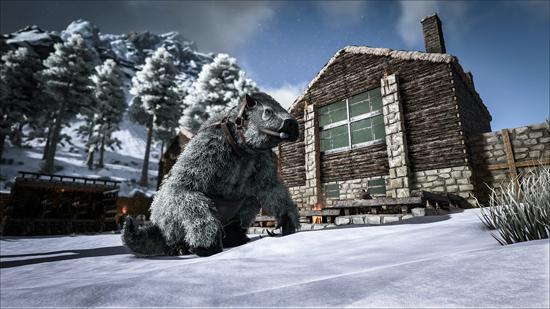 In ARK update v258, Survivors have become more civilized and procured their own version of indoor plumbing. 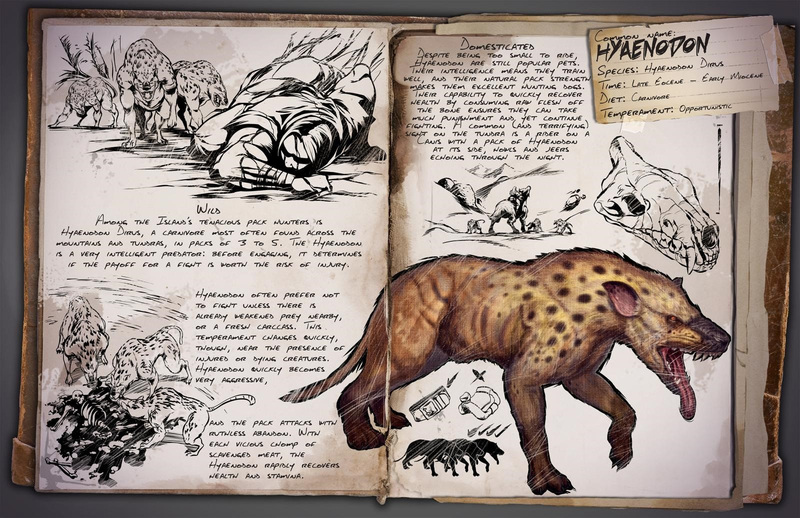 ARK players can now go to the toilet when their characters are ready to defecate, and by doing so they'll get a special 'refreshing' buff which will grant them an experience boost! 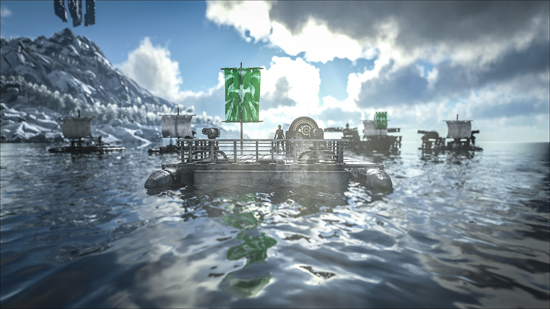 Plus with all the dangers recently found in the ARK seas, Survivors can now speed along in a gas-powered metal motorboat, or craft a powerful Harpoon gun which can be used in underwater adventures! 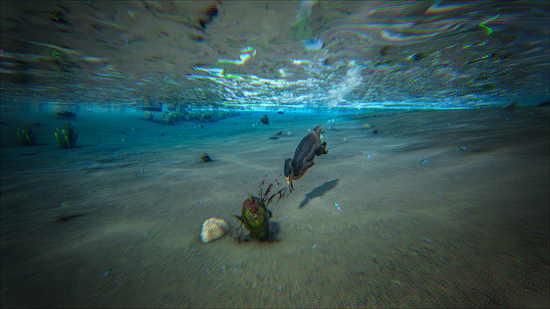 - Memory reductions, texture memory & mesh optimization. Hyaenodon Dirus - Hyaenodon is a carnivore most often found traveling in packs across the mountains and tundras. Before engaging, it determines if the payoff for a fight is worth the risk of injury. Hyaenodon often prefers not to fight unless there is already weakened prey or a fresh carcass nearby. Despite being too small to ride, Hyaenodon are still popular pets. Their intelligence means they train well, and their natural pack mentality makes them excellent hunting dogs. Their ability to quickly recover health by consuming raw flesh off the bone ensures they can take punishment yet continue to fight, and they can efficiently preserve meat in specially-crafted saddle-bags. Megatherium Formipavor - One of the larger mammals on the Island. Despite primarily being a herbivore, a typical Megatherium is very intent on consuming the Island’s many insects. It is particularly adept at removing their insides without damaging much of the shell, maximizing extraction of chitin. 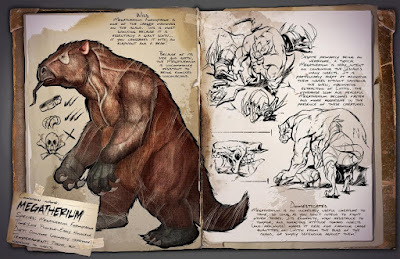 The otherwise slow and peaceful Megatherium becomes faster and aggressive in the presence of these creatures. Megalania Muruspede - Found throughout the Island’s complicated cave networks. Reaching up to three meters long, it can traverse vertically up cave walls with little difficulty thanks to its powerful claws. 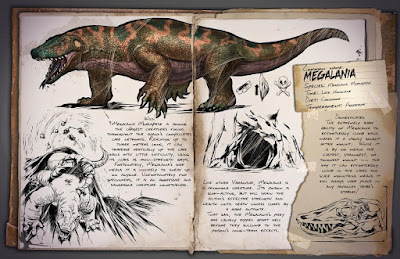 Like other Varanidae, Megalania is a venomous creature. Its poison is slow-acting but will drain the victim’s effective strength and health until death unless cured by a rare antidote. 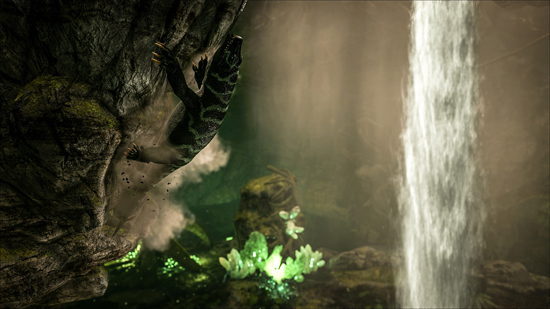 The rare ability of Megalania to effortlessly climb sheer environmental walls makes it a highly sought-after mount. 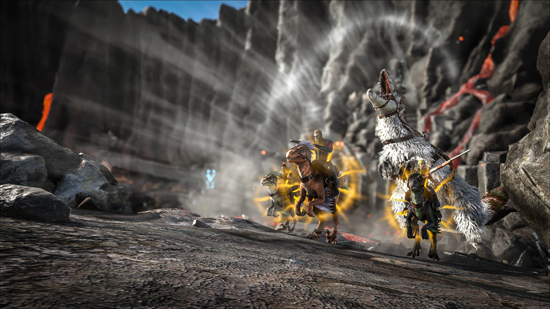 While it is by no means the fastest, strongest, or toughest mount, the manner in which it can effortlessly scale mountains, clamber up barricades, hide in trees or upside-down, ensures it will always have a place in any tribe’s stables! Hesperornis Avenatantes - A medium-sized, fish-eating bird, common in the rivers and lakes of the island. It would be about two-thirds the height of a human if it stood tall, but it rarely does. Hesperornis spends most of its time gliding along the surface of the water, where it is much more maneuverable. 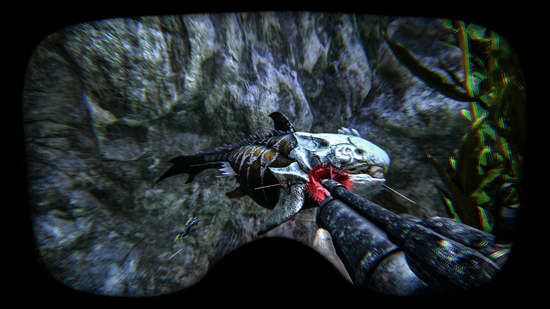 It can easily hunt down fish and other small water-dwelling creatures. Hesperornis is primarily kept for the eggs it produces after consuming much fish. Every so often it will lay a golden egg which tribes often desire for the dietary needs of their tames, as it has proven to greatly assist in the training of all creatures, especially those which are too small to be ridden. Yutyrannus Saevus - It is believed to be related to the Tyrannosaurus rex, but it is noticeably different upon first glance. Feathered creatures are not necessarily viewed as dangerous predators in the same light as other theropods. It is also the only creature I’ve seen to consistently induce a state of panic in opponents with its roar. Upon hearing it, most creatures in the area will flee for safety. 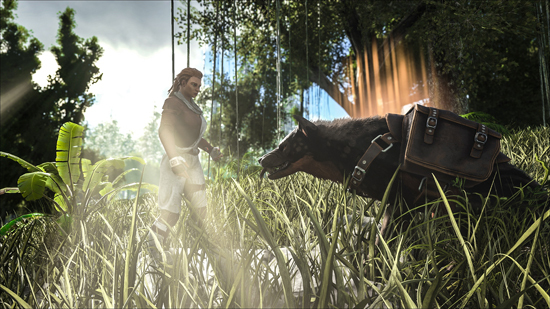 A domesticated Yutyrannus can be a powerful offensive or defensive addition to war parties. 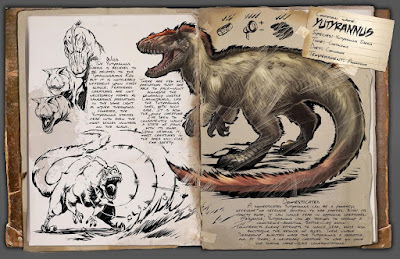 Yutyrannus can be trained to develop a confidence-boosting Battle-Cry which counteracts enemy attempts to induce fear, while also bolstering the resolve of allies, and may even draw wild Carnotaurus to its aid. 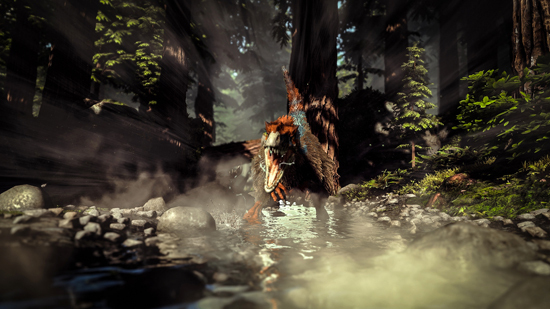 ARK: Survival Evolved is in development for Xbox One via the ID@Xbox program, Steam Early Access and PlayStation 4. The game is currently playable in on all three platforms, which includes Oculus Rift VR support and an integration of Steam community features such as Steam Economy and Steam Workshop for custom maps and mods. 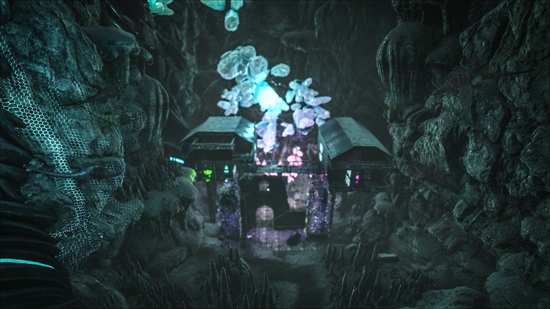 Players can host private/LAN servers and have access to a custom-built version of the Unreal Engine 4 Editor for creating mods. 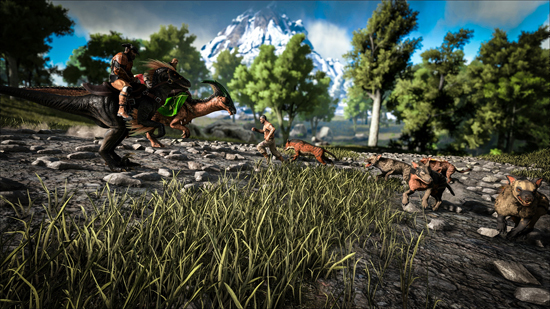 The world of ARK is designed to be modder-friendly and ever-expanding!